The Penydarren ironworks was founded in 1784, by Samuel Homfray, with the financial assistance of a wealthy Londoner named George Forman. It was here that the first rail ever made in Wales was rolled, for the Liverpool and Manchester railway which opened in 1830. Here too, the cable for the bridge spanning the Menai Straits was made. Samuel Homfray made a wager of £1,000 with Richard Crawshay that he would convey a load of iron by steam power from his works to the Navigation, at Abercynon a distance. The man chosen to complete this feat was Richard Trevithick, and with a great crowd of onlookers assembled at Penydarren, on the 21st February 1804 to witness the event. The locomotive travelling at five miles an hour, with a load of ten tons of iron and 70 passengers reached its destination safely, thus winning the wager for Homfray and world wide publicity for Penydarren. Samuel Homfray lived for many years at Penydarren House but following his marriage to a sister of Sir Charles Morgan of Tredegar Park, he left Penydarren for Tredegar, Penydarren House was then occupied by Mr. William Forman who took over the Penydarren Works. It was the last of the great ironworks to be built in Merthyr. It was unfortunately the first to be closed in 1859. 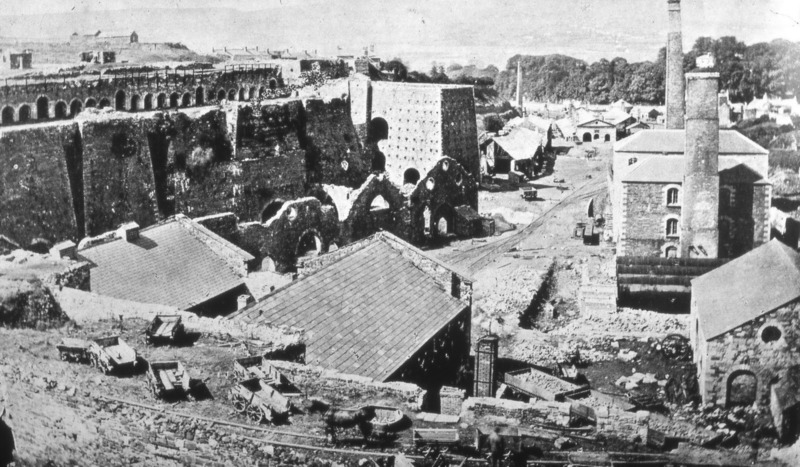 Penydarren ironworks 1875- Photograph by Robert Crawshay. Penydarren ironworks 1875 - Photograph by Robert Crawshay. This photograph from the 1940's, clearly shows the old furnaces. The site became the Traction Yard, which was home to the Merthyr Tramcars. Photo 1905. 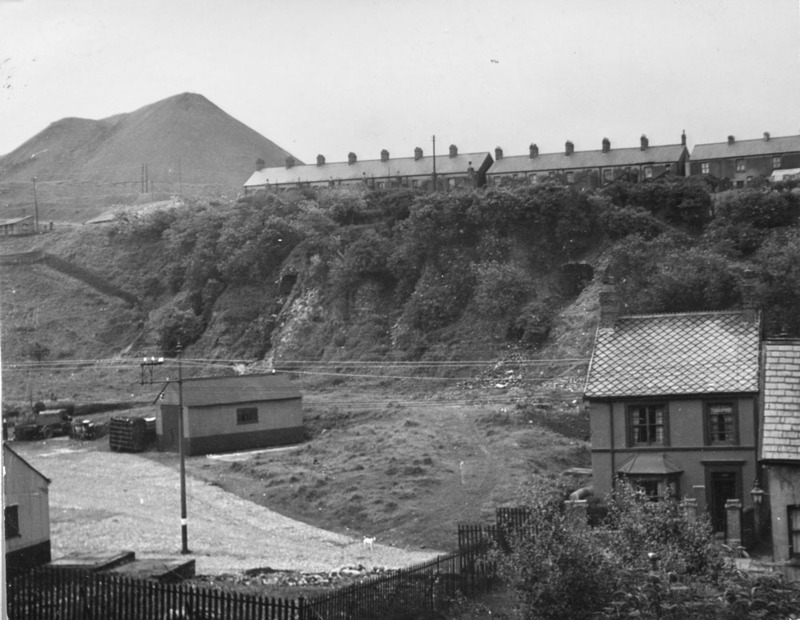 Do you have any photographs or information relating to Penydarren Ironworks, Merthyr Tydfil?